...Hamilton tracked down a great deal of unpublished correspondence and quoted extensively from Salinger's letters and books. When a galley of the book reached Salinger, he called in the lawyers and demanded that Random House remove quotations of unpublished letters from the text. The initial district court ruling in favor of Random House and Hamilton was overturned on appeal with major repercussions for American copyright law and with the immediate result that Hamilton was forced to paraphrase the letters he'd relied so heavily on. Slawenski is muzzled by that 1987 ruling and also by his fastidious interpretation of fair-use copyright law in regard to quoting from the fiction, limiting himself pretty much to short phrases. The bulk of the book was written when the litigious Salinger was still alive, but I can't help wondering if his heirs might have proved a little more relaxed about quotation. Margaret Salinger's memoir, "Dream Catcher" (2000), to which Sla­wenski is heavily indebted, quotes great swatches of the prose, but she may have presumed that even J. D. Salinger was loath to sue his own daughter. So-called 'sequel' to 'Catcher in the Rye' effectively banned in the U.S. as part of copyright lawsuit settlement agreement. The unauthorized 'sequel'/commentary on J.D. Salinger's Catcher In The Rye can be published and sold around the world, EXCEPT for the U.S. and Canada. So much freedom of the press or the notion that America is freer than any other country in terms of what you can publish. The bizarre arrangement is the result of a settlement agreement between Swedish author Fredrik Colting and the Salinger estate over a copyright dispute over Colting's book 60 Years Later: Coming Through the Rye. This latest development is a double insult in light of the disastrous 4-4 Supreme Court split in the case of Costco v. Omega. Unless the Supreme Court revisits the issue, what this means is that you can still be held liable for IP infringement if you buy copies of 60 Years Later: Coming Through the Rye overseas or via the Internet (as I have done) and then try to resell such copies to others here in the U.S. who might want to read this new and original work. "Since content may be removed from YouTube if it is found to breach copyright or if it contains offensive material, there is scope for the public and health organisations to request the removal of pro-tobacco content containing copyright or offensive material." It seems to be a suggestion that the ability to claim for copyright infringement should be available, not just to the author, but anybody who might find it useful as a tool for censorship. 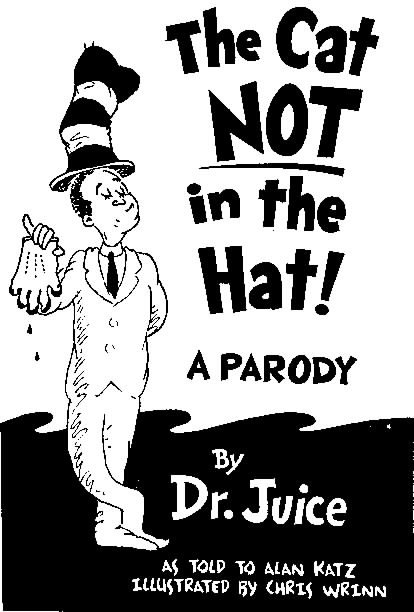 For those who think that the "parody" defense has always provided a clear and fair outlet of escape from copyright's harsh restrictions, you might want to read up on the time in the 1950's when Jack Benny was banned from airing a parody of the 1942 film (and 1939 play) "Gaslight" for a television show he was doing. From now on, Benny intends to get permission of anybody he parodies. Gloomed he: "I suppose now they won't even let me do Birth of a Nation. They're afraid we'd hurt the picture." "Actually, television felt the effects of the suit long before the Supreme Court ruling. If memory serves, we have not seen an all-out parody of any copyrighted work on television since the suit was filed. Television, as everyone knows, is a mighty cautious industry. Issuing a personal opinion on the ruling, I'm sorry as a television viewer that Benny has lost the case. It's one more nail in the coffin that fate prepares for TV comedians. It further limits the area in which they are permitted to try to make us laugh. Parody is one of the most ancient and honorable forms of public entertainment. Suddenly to find it illegal is astonishing - and a little frightening in the area of freedom of expression." Well said. Here is one of the nation's most prominent television critics at the time effectively admitting that a single copyright suit prevented countless of creative comedic works from being produced at the time - a shameful fact that is surely ignored in most law school and history classes today. Oh, the irony. Even in death, the copyright regime still torments him. Warner Pulls The Plug On 'We Con The World'. A federal appeals court on Thursday lifted a lower court's order that a well-known financial news aggregator delay the re-publication of prominent financial analysts' buy and sell recommendations. The courts need to drive a stake through the heart of the bogus "hot news" doctrine. The fact that it has even got this far through the court system is a disgrace. It represents a clear and present danger to the First Amendment which needs to be beaten back hard. This weekend, my copy of Fredrik Colting's "60 Years Later: Coming Through The Rye" arrived in the mail. I had to order it from Europe, because its currently banned here in the U.S. The courts are still considering the question of keeping the ban in place, but for now, it remains banned, and the Appeals Court has strongly hinted that a fair use defense will likely fail. I have added this to my growing collection of books that have been banned in the U.S. When I read them, I feel like the way Guy Montag must have felt while secretly reading his banned books in "Farenheit 451". My collection also includes Alice Randall's "The Wind Done Gone", which subsequently became available in the U.S., though I had acquired my copy during a time when it was still banned under court order. It still seems surreal for me to have to come to grips with the fact that courts are in the regular habit of banning works of literature in the U.S., and the notion that there are places in the world more free than my own country in terms of allowing people to read what they want to. I had always equated book banning with fascist regimes, not my dear grand U.S. of A. But alas, these lines have now been blurred. Such is the natural result of the extreme copyright regime that the legal system has imposed upon us. I have never understood people who become justifiably apoplectic when the government bans books at the behest of a political party in power, but then remain silent (or even offer their support) when the same government power bans books at the behest of private corporate interests. The end result is the same. A free mind who wishes to explore creative works and form artistic judgments on them is prevented from doing so by force of law. Rather than openly exercise my free mind in a free society, I am forced to become Guy Montag - effectively having to find Underground Railroad societies in order to obtain books I want to read, and hoping that the Firemen do not come knocking on the door to take away my possessions and burn them at the behest of authors who have long since perished. The key point is that distribution became available again not as a matter of right, but only because the prevailing plaintiff in the case changed its mind in allowing distribution to go forward (in accordance with the wishes of the author who actually wrote it). Glenn Thorpe draws our attention to a good article about the role of patents in video codecs. The brief story: video codecs are used to compress the storage of videos. Camcorders use codecs to record, and video devices use codecs to playback. This is about the use of codecs to record. The big players - including most camcorder makers, Apple and Microsoft - record using codecs that are encumbered by patents. In particular the license allows the recording that is made with the codec to be used for "personal use and non-commercial use" only. I'm dubious of the legality of this - perhaps some of our patent lawyers can comment on this? But regardless the threat of a lawsuit it there: if you were to shoot a film using a camcorder and sold the film and made a lot of money (not that likely - but then again there is Witch Mountain) you can be pretty sure you would get sued. The bottom line: the patent holders on parts of video compression technology are trying to use their patents to tell us what we can do with content we create using their recording devices. If You Believe in IP, How Do You Teach Others? Powerful piece by Jeff Tucker: If You Believe in IP, How Do You Teach Others? German chancellor Angela Merkel yesterday waded into the row over Google's plans to build a massive digital library. The move was a remarkable intervention from a leading world politician in a growing dispute about the threat posed by the internet, and Google in particular, to publishing companies, authors and also newspapers. In her weekly video podcast, before the opening of the Frankfurt Book Fair this week, Merkel appealed for more international co-operation on copyright protection and said her government opposed Google's drive to create online libraries full of scanned books. "The German government has a clear position: copyrights have to be protected on the internet," Merkel said, adding that there were "considerable dangers" for copyright protection online. Isn't this astonishing? I thought "the goal" of copyright was to promote the spread and growth of human creativity. Now it appears "the goal" is to protect copyright itself. This reminds of government school advocates who say they "believe in public school"; who oppose any attempt to reform or privatize public school because it might threaten public schooling--when the goal of public schools is supposed to be education. Google's "plan would make millions of out-of-print books available online and thus would not cannibalise existing sales, as those books were not readily available to buyers. Google argues that it is increasing access to works that would otherwise never see the light of the day." But the state fears the unregulated behavior of free people. Who knows what people might do with this information? If you let people freely connect and communicate in a digital world, the state's copyright and other regulations might not even reach them! And we can't have that! So these atavistic brutes want to kept information locked up in musty paper because of a fear that some people might learn things without dropping a nickel in the Galambosian box. If they don't understand it, if they can't control it--Hulk smash! Doesn't this recall the heartless zeal of drug warriors who are willing to deny suffering people medical marijuana because the only way to effectively outlaw recreational marijuana use is to allow no exceptions. And we have to prevent recreational marijuana use... don't we? We have to protect copyright, don't we? We have to have government education, don't we? I mean, who can imagine the horrors of a dystopian world where people were free to use marijana; where they had hundreds of millions of books available any time, at their fingertips; where states are not able to brainwash and propagandize students in their little loyalty-factories.